Hi everybody. You might as well get used to me saying at the beginning of every post how great our sketch was this week, and I think you'll agree! 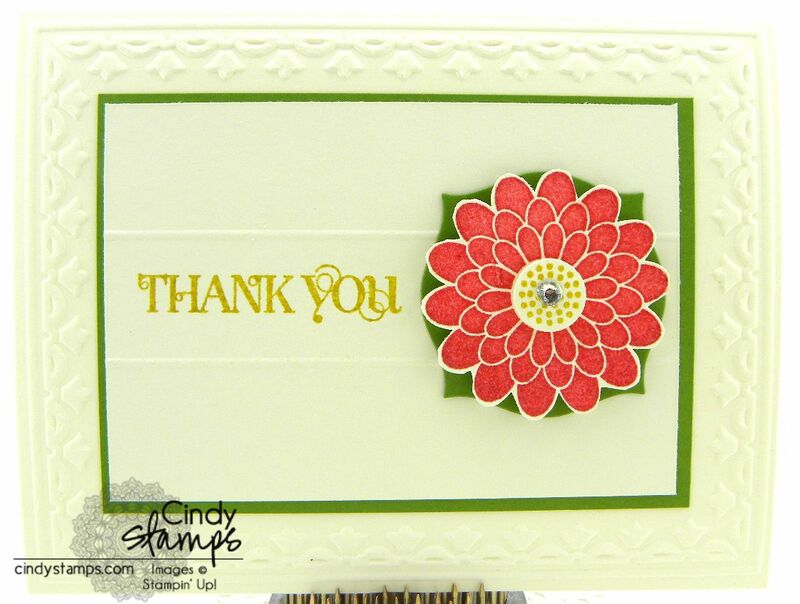 I made my card using all Stampin' Up! product because I wanted to really play with the new In Colors. The Summer Starfruit honestly looked like a dirty diaper to me at first (sorry, that was the only was I could describe it), but it's a yellow-green. Imagine a lighter Kiwi Kiss and darker Certainly Celery. I'm still on the fence about this one. I love the Primrose Petals and the Gumball Green is a nice green. It's bold and mellow at the same time. Here is my card for this wonderful sketch and I hope that you enjoy it. Have a great evening.